Decorated by colourful and dim lighting, A&A Wellness Spa seeks to offer a relaxing paradise for those who are in need of some pampering. They pride themselves as a service oriented, professional, and personal health care centre for both men and women. They are conveniently located in Bugis and offer a comprehensive range of body and facial treatments. Quiet and cosy private rooms are available for those who especially need a space to relax the mind, body, and soul. 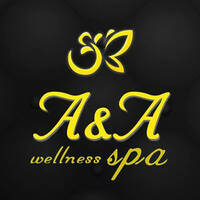 Professional therapists are at hand with specialised skills in the area of beauty and wellness.